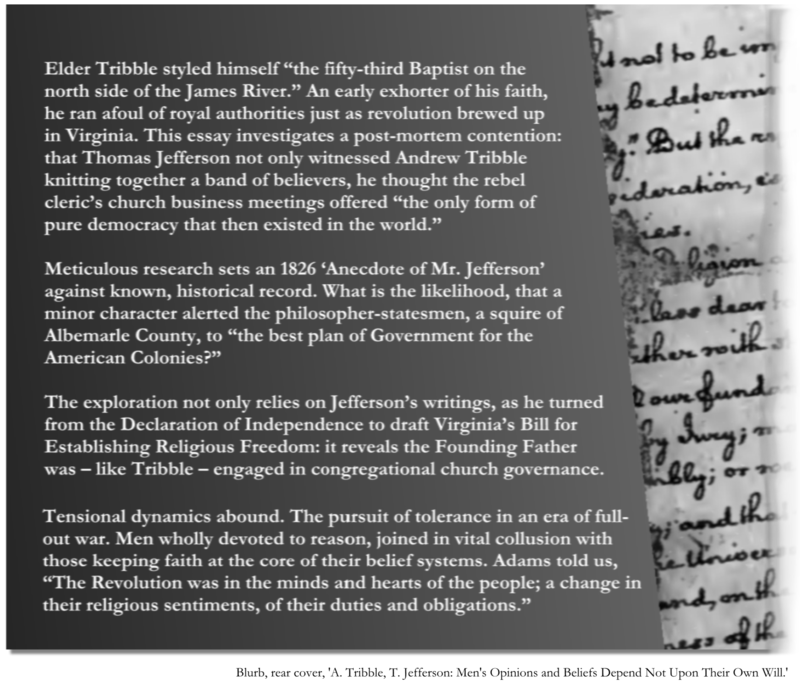 UPDATE: In the summer of 2017, Hardesty submitted for peer review the 60-page text, A. Tribble, T. Jefferson: Men’s Opinions and Beliefs Depend Not on Their Own Will. Back cover blurb, right. Among family, I’m referred to as Dave. I present myself as a blend of media producer, writer, amateur genealogist and advocate for racial justice. In March 2011, I added Ardis Ligon to my concept of family, as it is exceedingly likely that I am related to the great-granddaughter of Jeremiah Turner (1840-1917) by way of my 3x great-grandfather, ‘Trading Tom’ Turner (1764-1847). We have established that Jeremiah was the property of Thomas Turner’s son, noted pro-slavery jurist Squire Turner (1793-1871) and have set ourselves the task of verifying Ardis’ family lore … that Jeremiah was the product of a relationship between a slave and either Squire or his father Thomas. Through emails and then phone conversations, Ardis helped me adjust to a new, disturbing awareness that … before it happened to me, I’d never contemplated: though family history stories included accounts of ‘Uncle’ Dave and ‘Aunt’ Mary; tales of slave times were not passed to me. Ardis and I met in person that summer and have become very close. I’m quite grateful for the opportunity. Someone suggested others were dealing with coming into such relationship, and I was pointed to Coming to the Table. 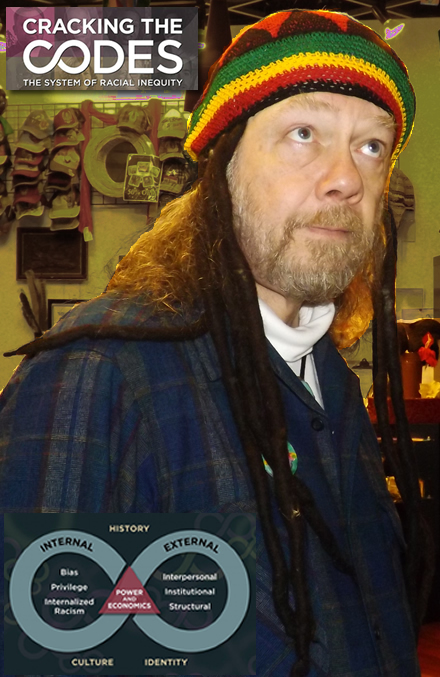 In September, 2011 I began Hard Honesty, a blog arising from my family history research. In a daring account from the environs of Boonesborough in 1782, I discovered ‘Uncle’ Monk (slave-named Estill, died 1835) saved the life of an ancestor. As Squire Turner (above) sought to enshrine slavery in a re-write of the Kentucky State Constitution in 1849, his half-brother, my 2x great-grandfather, sought to elect emancipationist delegates to the convention. I think I’ll enjoy launching BitterSweet, as a result of the value I place on long-form journalism. Ultimately, I’m excited about this project because I believe intimacy derived from this community can help dismantle unintentional & passive racism which afflicts people of color in ways whites barely realize … but can be severe and unrelenting to victims. I know there to be a migration – through ancestry.com – of recreational genealogists who are now aware their ancestors owned slaves. I believe we can particularly assist those who have become ‘linked descendants’ … those who’ve established relationships with the progeny of their ancestor’s slaves or owners. Real-world, real-time reconciliation between related descendants, in such a fishbowl, can be a marvelous example … as well as an environment for related descendants to grow and be read. Our job, it seems, is to facilitate these comings-together in ways that make intended outcomes most likely. I look forward to hearing from you. I’m particularly keen to make contact with those who have information on Monk Estill or Squire Turner.